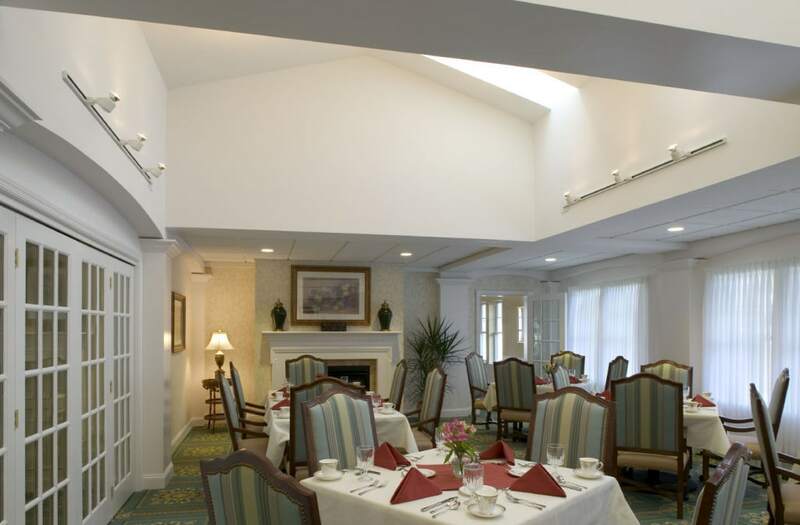 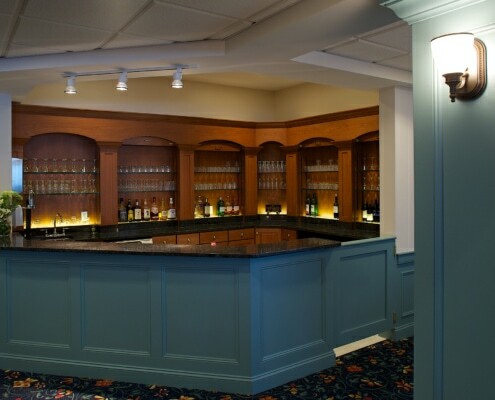 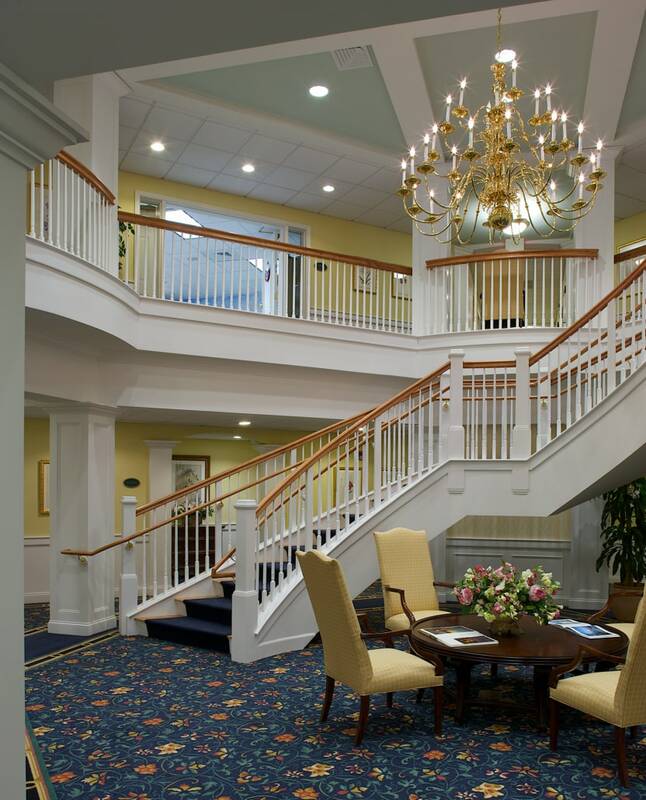 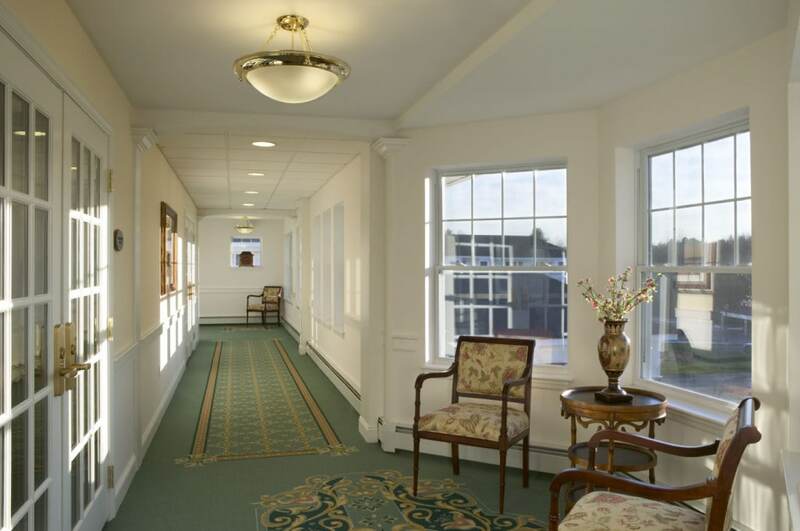 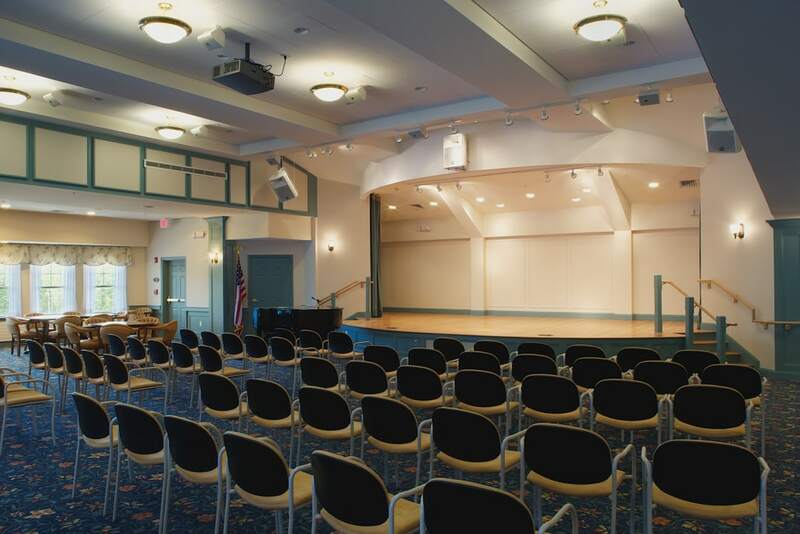 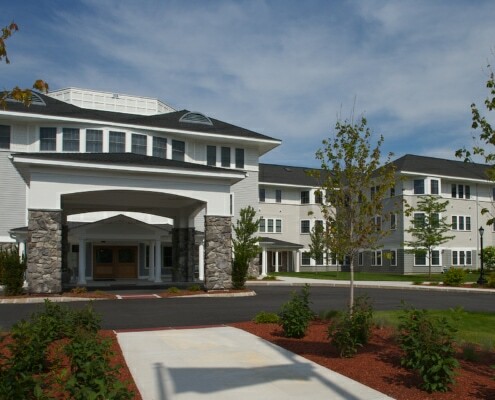 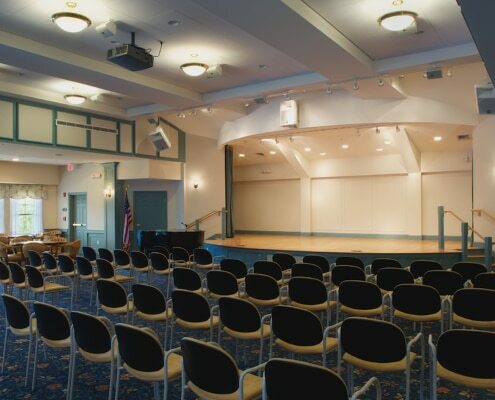 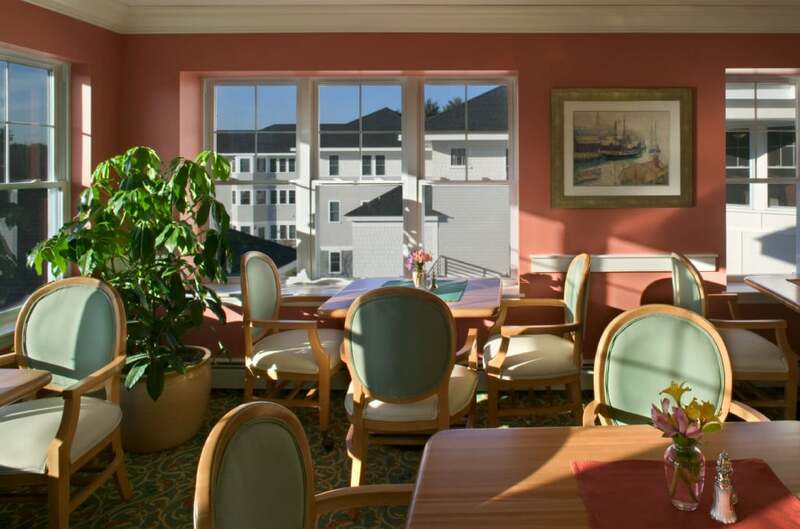 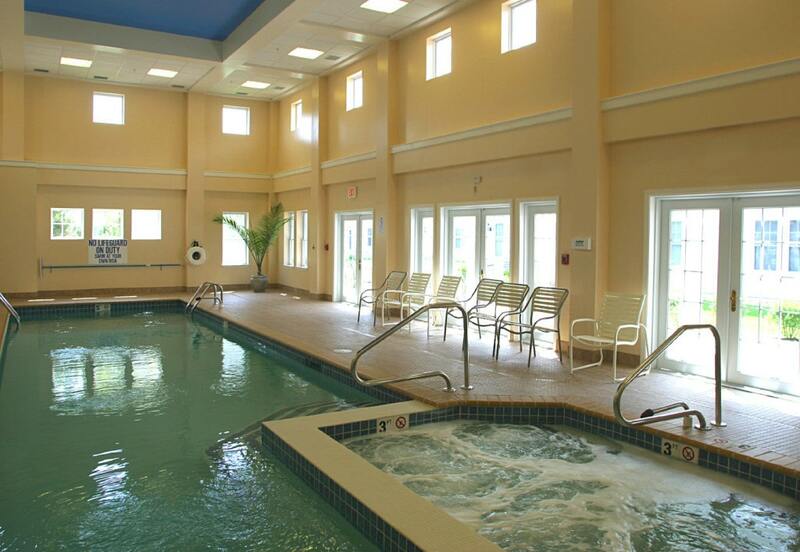 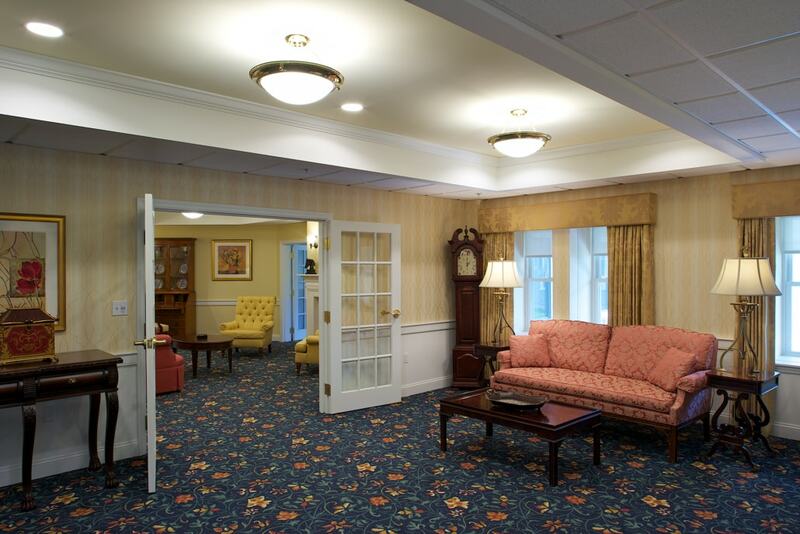 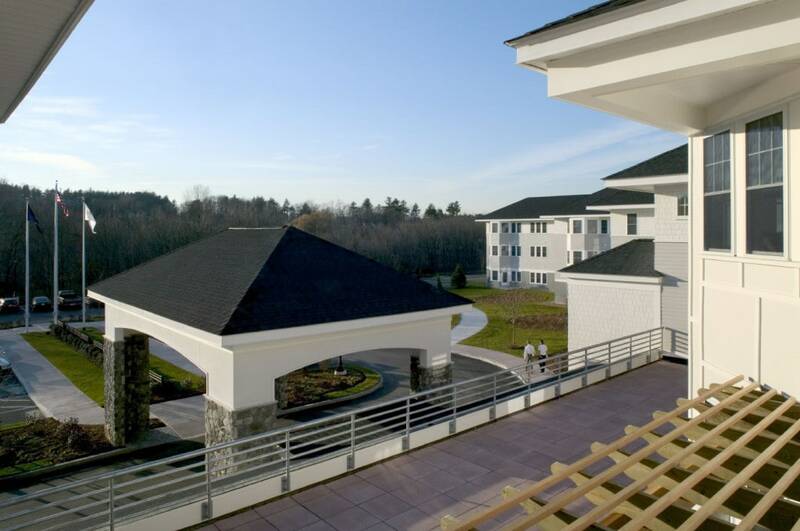 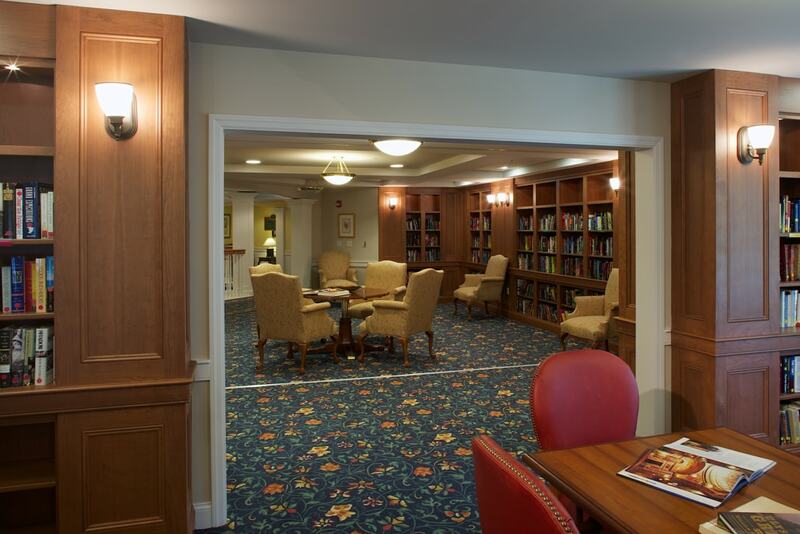 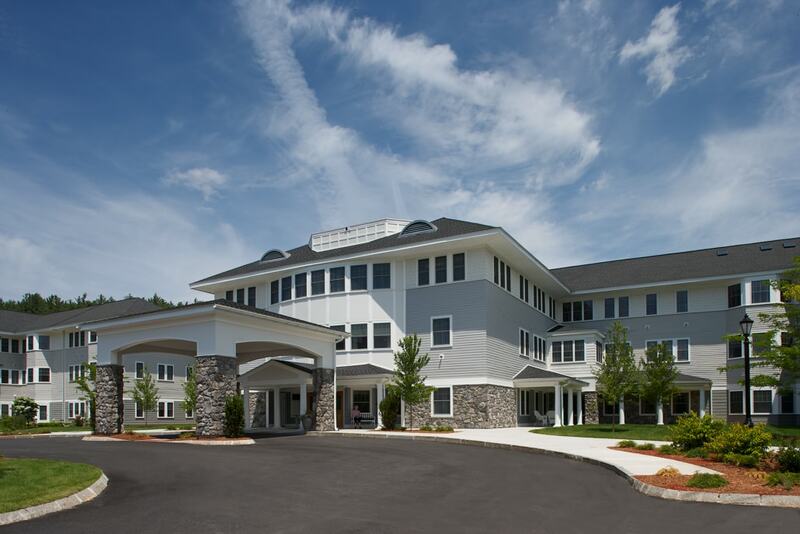 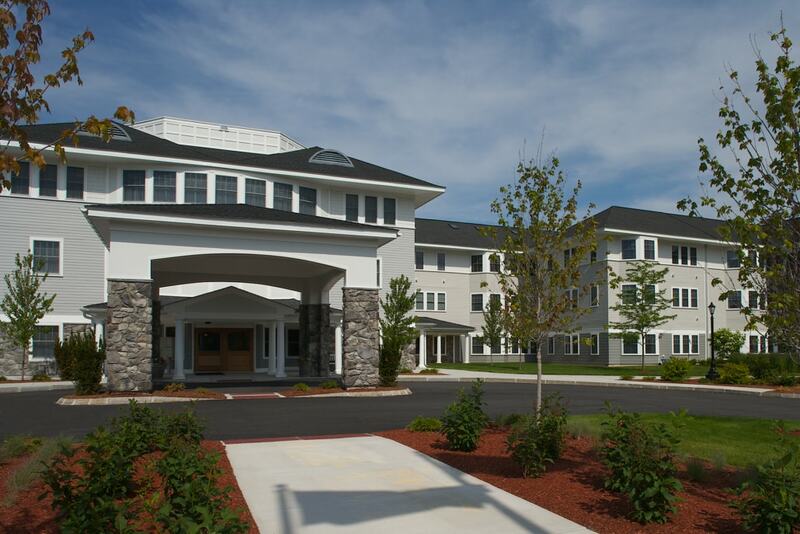 The Huntington at Nashua is a state of the art CCRC of modest scale. 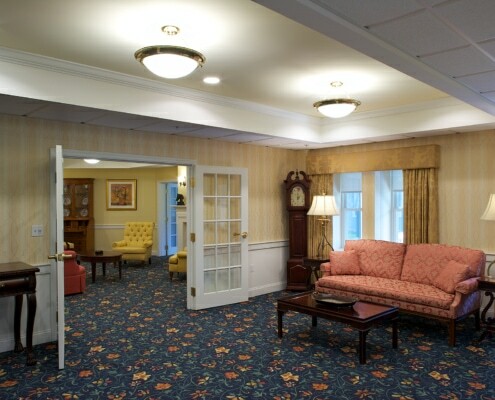 The planning of the project was deﬁned by several site and program requirements. 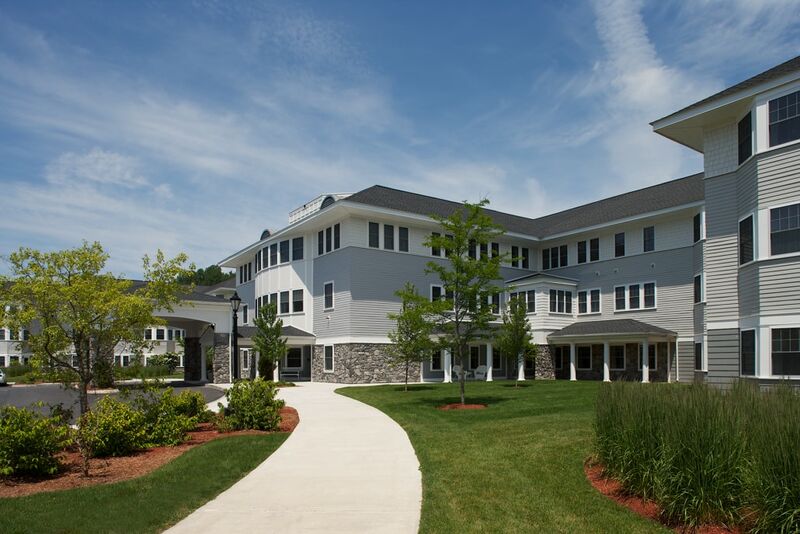 First, the site is unusual in that it is sloping in one direction toward a beautiful, mature wooded wetland which also acts as the primary view shed. 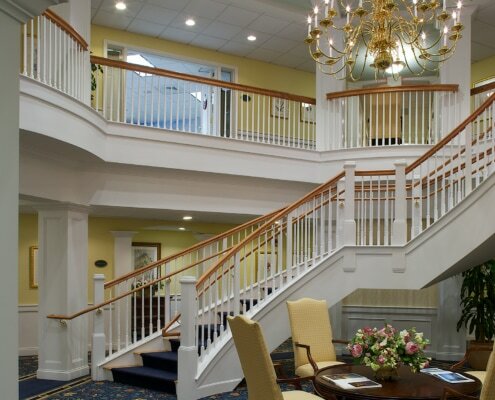 Secondly, the marketing for the project indicated a high demand for multiple exposure apartments. 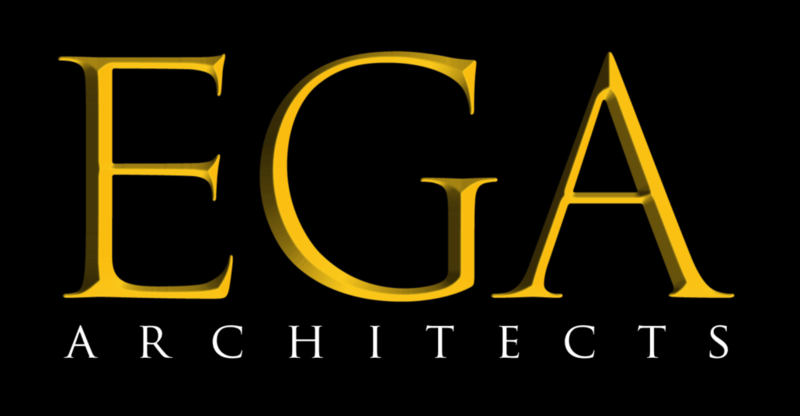 Finally, the project size and operations personnel placed inherit demands on stafﬁng efﬁciencies. 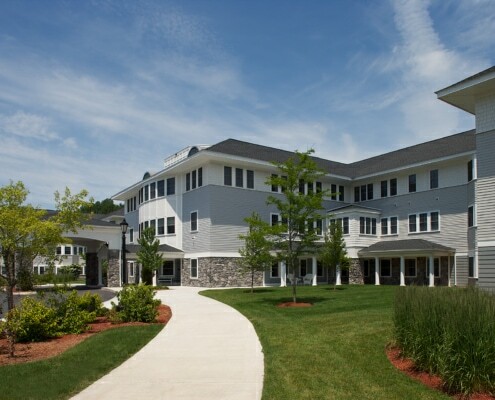 Responding to the site issues, the master plan for the project was developed with the top (third) ﬂoor independent living commons and dining areas taking advantage of the primary woodland views and topography. 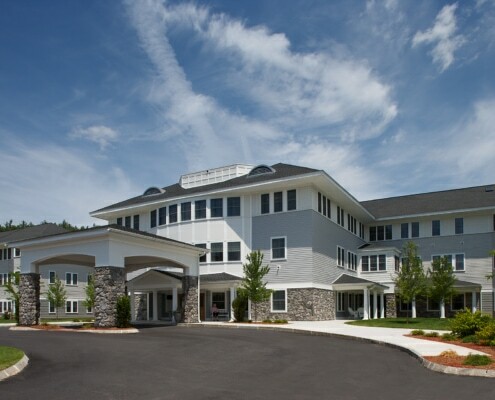 Because the project steps up the hill a full two stories, the assisted living and long term care are at the same level in a one story building behind the independent living. 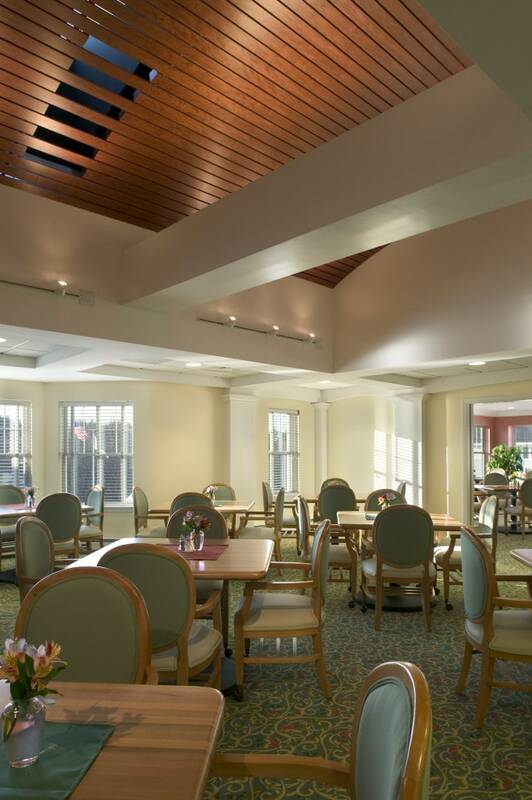 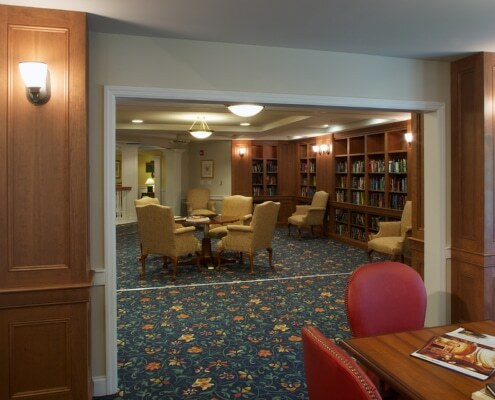 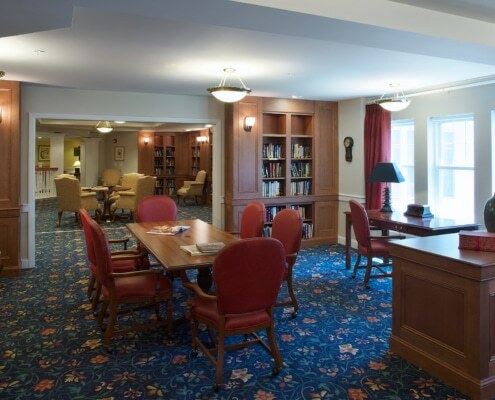 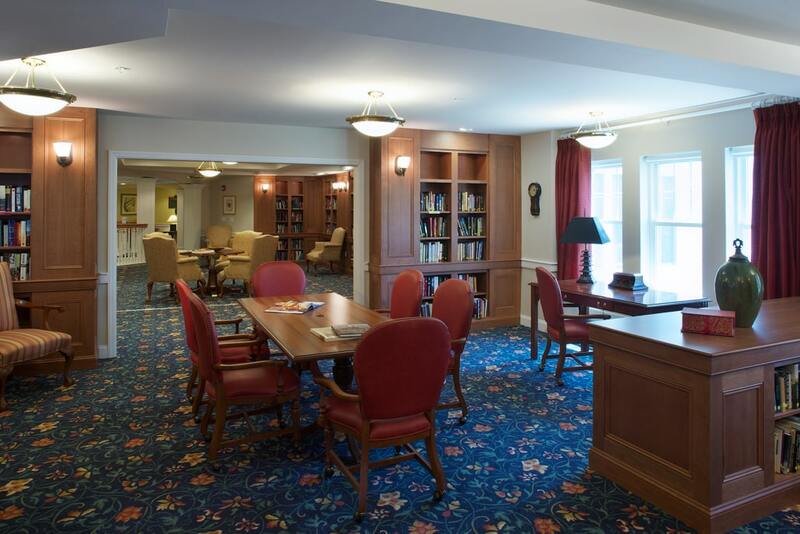 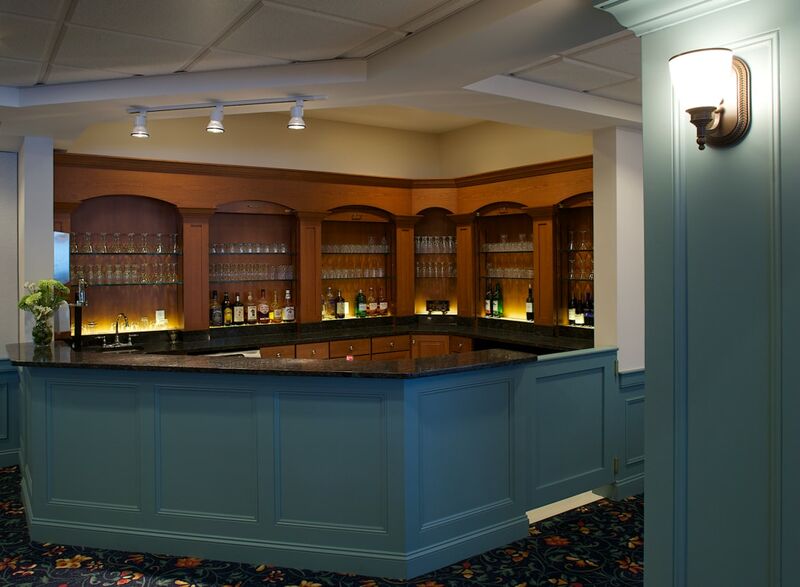 This top ﬂoor horizontal connection not only resolves the site demands, but also allows the staff efﬁciency of a shared kitchen, wellness center, and service areas for both the independent living and long term care.